Offered by Arkansas Real Estate School, Arkansas’ premier real estate school! Take your learning with you – Your life is constantly on the go. Access your online real estate courses anywhere, anytime on your computer. Class offerings are continuously growing and mobile access is coming soon! Get the right answers – Have a question? Something to share? Post it to our private forum and receive answers from colleagues and Danny Been, an Arkansas Principal Broker and Certified Distance Education Instructor. Receive instant gratification– You worked diligently to complete your coursework. Exam results are available immediately and your certificate will be in hand in no time! Our Quality Guarantee: In the unlikely instance that one of our online students completes the online course and does not feel prepared for the exam or does not pass the exam on their first try, Arkansas Real Estate School will allow that student to attend class in our Little Rock classroom with live instruction at no charge for up to one year after the start date of the online course. The student will be required to purchase our textbook for $45. Have Access to Placement with quality Brokerages– Our instructors and staff will assist you with evaluation of quality brokers for you to affiliate with after you pass your state exam. More people are turning to distance education classes for career advancement and continuing education than ever before. CONVENIENCE is the major reason cited by those making this decision- not having to be at a classroom at a certain time each evening and no wasted time and gas commuting there. We value flexibility as well, but we believe QUALITY should not sacrificed for convenience. Arkansas Real Estate School proudly offers QUALITY COURSE CONTENT AND INSTRUCTION in conjunction with the convenience of working on the class on your own timetable, whenever and wherever you like. You can repeat any section you please—or breeze through material you understand quickly. 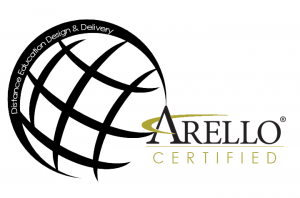 All our courses are ap proved by the Arkansas Real Estate Commission, are ARELLO certified and meet our standard for excellence in real estate education. Our Certified Distance Education Instructor, Danny Been, is available for questions and comments via email and private forum. We offer Real Estate Basic Principles (60 hour pre-license course) and a wide selection Continuing Education subjects so you can enjoy the convenience of working from home on your own schedule without sacrificing quality. *Individuals seeking a real estate license in the state of Arkansas and completing their Basic Principles Course online are responsible for requesting an Application Package from the Arkansas Real Estate Commission, completing the package and submitting it back to the Commission. The application process includes Federal and state background checks, a portion of which requires submitting the included fingerprint card. Fingerprinting can be executed by local law enforcement or by appointment only at our location in Little Rock. There is a fee of $86.50 payable to Arkansas Real Estate Commission for the required background checks. Details will be included in your welcome email after registration. *Course fees for online courses may be refunded within 3 days (72 hours) of registration. Refund requests must be made to the school office by email or telephone before the 72 hour period is over to be eligible for refund. No refunds will be made after the 72 hour period. Costs of books and shipping are not refundable. 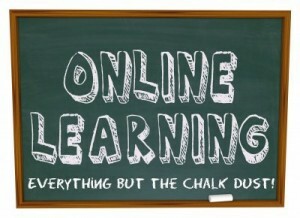 *MOVING FROM AN ONLINE CLASS TO THE CLASSROOM OR FROM THE CLASSROOM TO ONLINE IS HIGHLY DISCOURAGED. NO CREDIT CAN BE GIVEN FOR TIME SPENT IN THE FORMAT A STUDENT IS LEAVING AND THE FULL COURSE MUST BE COMPLETED IN THE NEW FORMAT. WHEN CHANGING TO THE CLASSROOM FROM ONLINE, STUDENT WILL BE REQUIRED TO PURCHASE THE CLASSROOM BOOK FOR $45 AND AN ADMINISTRATION CHARGE OF $25 WILL BE ADDED. WHEN CHANGING FROM THE CLASSROOM TO ONLINE, A $25 ADMINISTRATION FEE APPLIES AS WELL AS ANY DIFFERENCE IN THE COST OF THE COURSE. To review our entire School Policy, click HERE. Before you can access your course, you will receive two emails. The first is your Order Receipt. It can take up to 20 minutes after your receive your Order Receipt for your course to be accessible. You will receive a WELCOME email when your course is available. You may begin the course(s) by following the link in the WELCOME (second) email. PLEASE ALLOW 5-10 MINUTES AFTER PURCHASE TO RECEIVE THIS EMAIL. Math is a big part of real estate! Make sure that your skills and knowledge are up-to-date. MathMaster is designed to help you develop strong skills in real estate math–helping to ensure success on your state exam! There’s no need to be afraid of tackling math problems. The purpose of this is to give you the tools and expertise to master real estate math. Students will love the hands-on practice problems and detailed, clear descriptions of the purpose, use and formulas. MathMaster is an excellent crash course to help you prepare for the exam and a successful real estate career. Be smart. Have confidence in yourself and your real estate knowledge. With more than 20 years in the real estate education field, we applied our research, expertise and experience to build an exam prep course comprised of the major testing formats and questions found in real estate state exam testing. A sophisticated exam prep tool that leverages adaptive learning technology to tailor study materials to meet your individual needs. Its personalized learning paths provide the optimal study experience to prepare you for the national information on your upcoming real estate license exam. This product should be used only after completion of the state pre-licensing course requirement. – Customized study plan including daily goals that adapt based on activity throughout the system. – Self-paced, comprehensive library of over 1,000 practice questions that will allow you to concentrate on specific topics based on your confidence and knowledge of the subject. – Full-length, timed exams that simulate an actual testing environment. ***New required course for 2019 will be added soon! PLEASE NOTE- This is the 2018 required course for AGENTS- The 2019 required course will be available soon. YOU MUST BE A LICENSED AGENT TO RECEIVE CREDIT FOR THIS COURSE. YOUR LICENSE NUMBER AT THE TIME OF REGISTRATION MUST HAVE AN ALPHA PREFIX THAT CONTAINS THE LETTERS SA. This continuing education course does not include NAR Biennial Ethics. PLEASE NOTE: This is the 2018 required course for BROKERS– The 2019 required course will be available soon. YOU MUST BE A LICENSED BROKER TO RECEIVE CREDIT FOR THIS COURSE. YOUR LICENSE NUMBER AT THE TIME OF REGISTRATION MUST HAVE AN ALPHA PREFIX THAT CONTAINS THE LETTER B. Beginning January 2017, the AREC now requires all licensees take a one-hour Real Estate Safety course. This course meets NAR’s 3-Hour Mandatory Ethics Renewal Training.